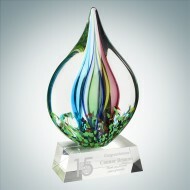 This hand-crafted Art Glass Coral Award with Black Base is truly a work of art. This award was purposely designed so that the vibrant green hue would be easily emphasized once the light shines through. 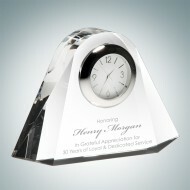 It can be personalized making it ideal for any recognition occasion. 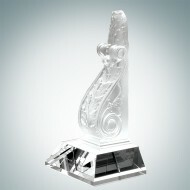 It can also be used as a decorative piece for your home or office. 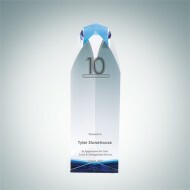 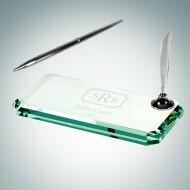 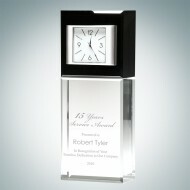 A black crystal base is attached for personalization, making it ideal for any corporate event of recognition! 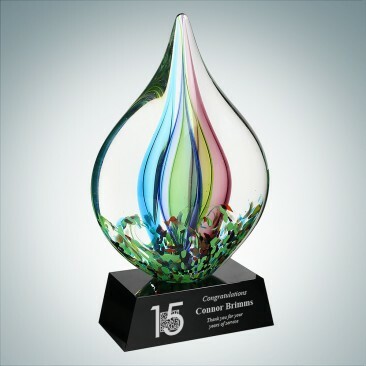 • Minor Bubbles and Swirls Inherent to Blown Art Glass and Slight Variation in Design Pattern is Considered Acceptable from Piece to Piece for Hand Crafted Glass. 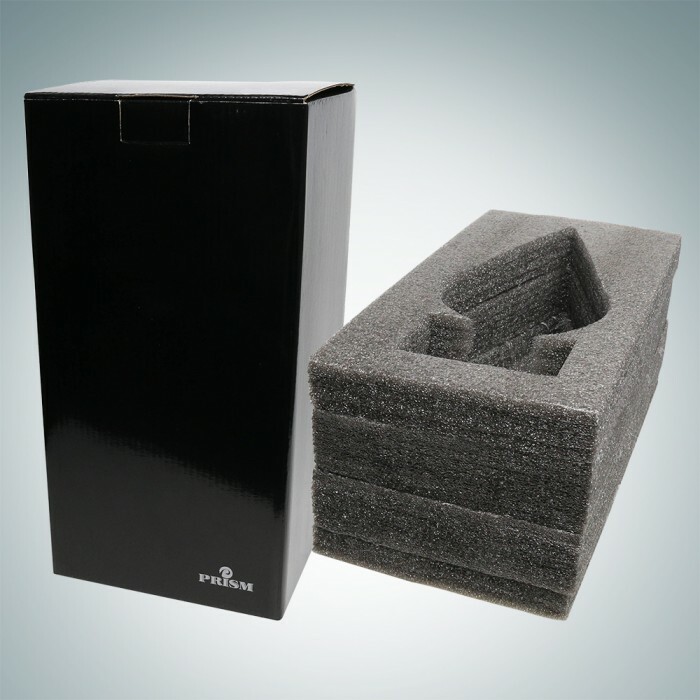 • Dimensional weight as listed applies for the shipping charge calculation.